Sainsbury’sclaims its balance sheet has been given a boost by the inclusion of Argos shops inside its stores. The supermarket, which is vying to secure a mega-merger deal with rival Asda, said its half-year underlying profits rose 20 per cent to £302million. But, when a host of exceptional costs are taken into account, Sainsbury’s profits nearly fell by 40 per cent, from £220million to £132million. The profit figure was weighed down by costs related to restructuring store management teams and preparing for the Asda deal, which is being scrutinised by competition authorities. Profits at Sainsbury’s Bank fell 53 per cent to £116million, which was ‘in line with full year guidance’, the group said. 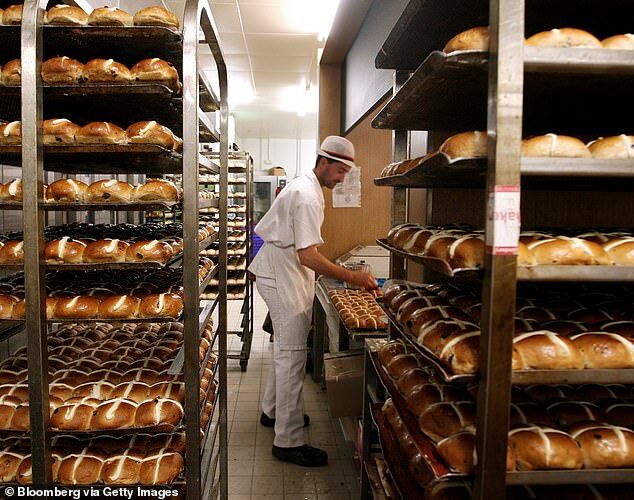 Looking ahead to the crucial Christmas sales period, the supermarket’s boss, Mike Coupe, remained cautious. 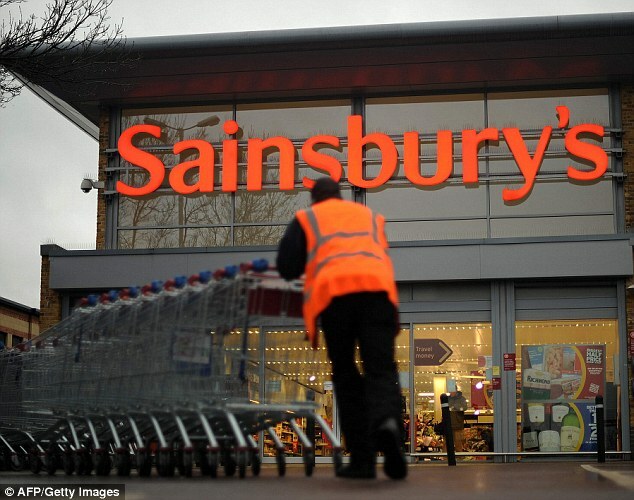 Sainsbury’s said its Taste the Difference range ‘performed well’ over the period, with sales rising nearly 3 per cent. 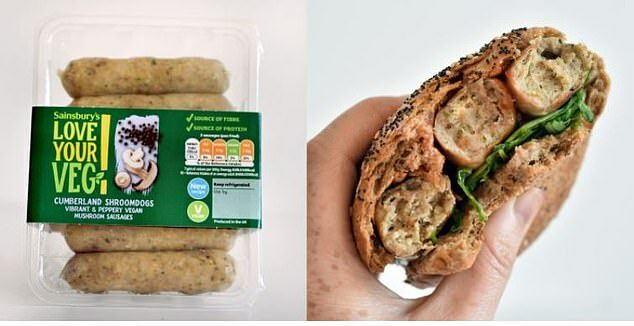 ‘Meat-free products such as ‘Shroom Dogs’ and BBQ pulled jackfruit have performed particularly well, the supermarket said. Grocery sales at Sainsbury’s rose 1.2 per cent in the first half thanks to the hot summer, while overall general merchandise sales grew by 1.5 per cent, although non-food profit margins remain under pressure. Clothing sales fell 1 per cent, which the supermarket blamed on planned changes to promotions. Like-for-like sales growth for the period , which strips out the impact of new retail space, was 0.6 per cent, which was below analyst predictions. But, adding Argos stores in Sainsbury’s outlets was ‘driving an increase in trading intensity’, the retailer said. Last month, Sainbury’s revealed it would be putting Oasis clothing concessions in its supermarkets in a bid to grab a bigger slice of the fashion market. The grocer will put concessions in five of its stores alongside its own-label fashion range Tu, which already accounts for £1billion of annual sales. The FTSE 100 listed company’s share price is up 1.52 per cent or 4.85p to 323.95p. 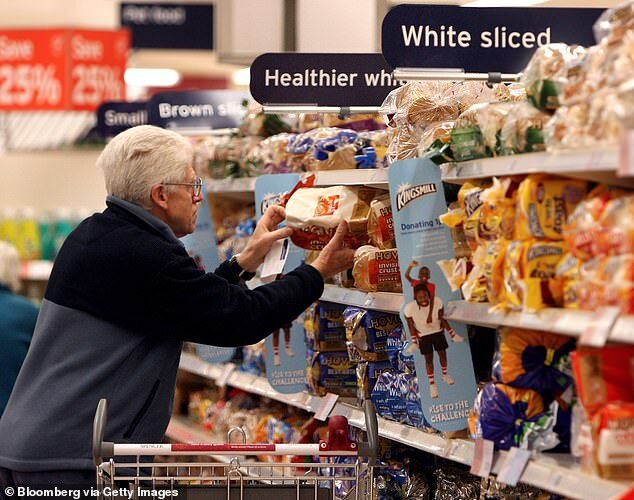 Ed Monk, associate director at Fidelity Personal Investing, said: ‘The market met the proposed Sainsbury’s Asda merger warmly earlier this year but that enthusiasm has cooled since the news that the deal is being examined by competition regulators. ‘What’s needed to renew the impetus now is better fundamental performance and today’s interim results showed a small pick-up in like-for-like sales of 0.6 per cent. That’s faster than at the update in July but a slowdown on the previous two quarters. ‘The under-par results from Morrison’s this week showed the challenge facing the large grocers. 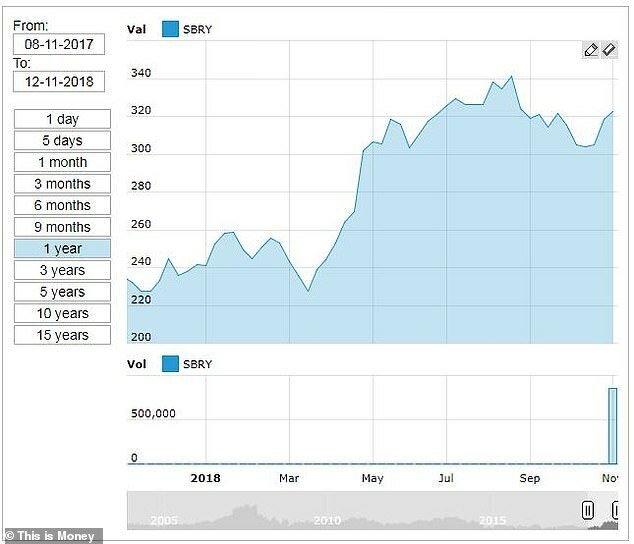 Lee Wild, head of equity strategy at Interactive Investor, said: ‘Sainsbury’s shares are not far off a 16-month high and up over 40 per cent since March, thanks in large part to April’s Asda announcement. ‘Margins have suffered at the hands of the German discounters and, although the worst is over, business remains tough. This week, Morrisons revealed that its sales growth had started to slow in the latter stages of the year. In the third quarter, Morrison’s like-for-like retail sales increased by 1.3 per cent, down from the 2.5 per cent rise in the second quarter.